It’s officially Spring, which is my absolute favorite season!! I love all things involving tulips, longer days, and evening walks. I also even enjoy some good ol’ Spring cleaning (and I hate cleaning on a normal basis). Well … Spring also brings with it Mother’s Day! One of the best traits I got from my Mom is the love of all things handmade! Today I’m here with a pretty and practical gift idea for your mom – Color Dipped Wooden Utensils. It’s super quick and easy! Set of three wooden or bamboo kitchen utensils (I found mine at Target … and forgot to take a picture of the ‘before’ … sorry!). Printable gift tags (get ’em HERE). Tape off part of the top of the handle of each utensil and paint with your craft paint. Apply the sealer over the top and over all edges of the tape plus the entire painted section. This is essentially waterproofing your work! Download the GIFT TAG HERE (there are a couple slightly different options to choose from!). These utensils are hand washable and so cute to keep out on the counter at all times! 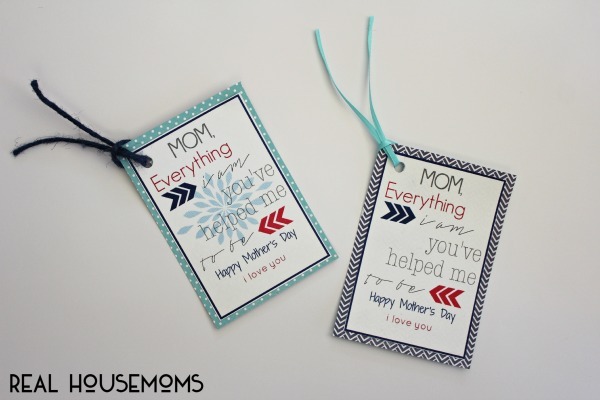 Customize them to match your Mom’s decor! A perfect handmade gift for your mom this year! Especially a mom that loves to cook and bake! Happy Spring! 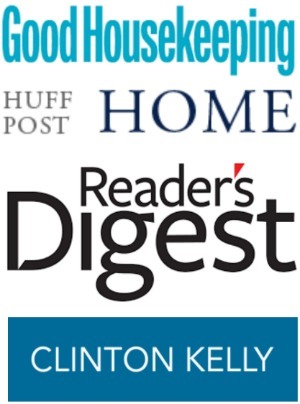 Thanks for having me here this month! If you get a minute, I’d love for you to pop over the View From The Fridge to say ‘hello’! 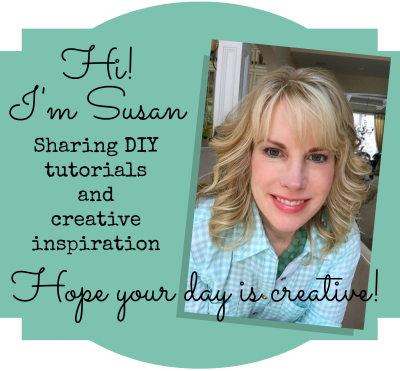 I’ll be sharing the matching Color Dipped Hot Pad Holder tutorial (see below) on Monday … so be sure to stop back by! 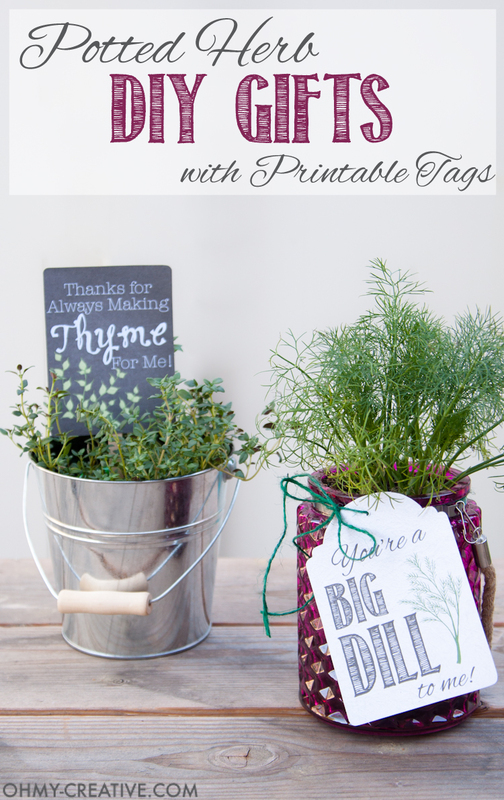 You might also like these Free Printable Potted Herb Gift Tags! Perfect Mother’s Day or Teacher Appreciation gift! Great idea, can see these as gifts for many occasions. Sending this to my daughter–Mother’s Day is coming! It’s a perfect mom gift and very nicely executed! They look so pretty! This is something I’ve always wanted to try but somehow never did. Thank you for the inspiration! Great gift idea! I like that you used a clear coat to waterproof. Such a cute Mom or grandma gift! I love homemade gifts the best 🙂 You should come link these up at Welcome Home Wednesdays. Party open 7a CST Wed. http://www.suburbansimplicity.com Have a super weekend! I love these! So simple and cute! I love this, I’m going to be making some for gifts and to keep. Thank you for sharing this awesome project at Inspire Me Monday at Create With Joy! 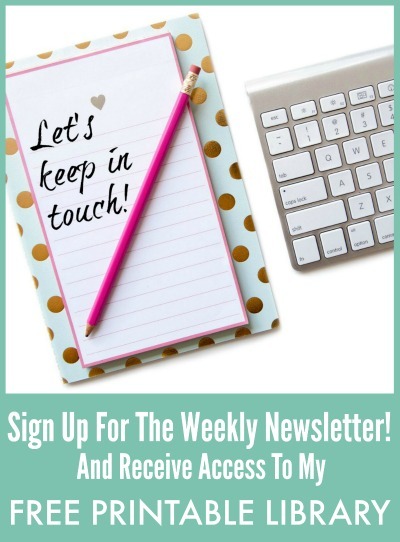 I am delighted to feature you at this week’s party – #223!